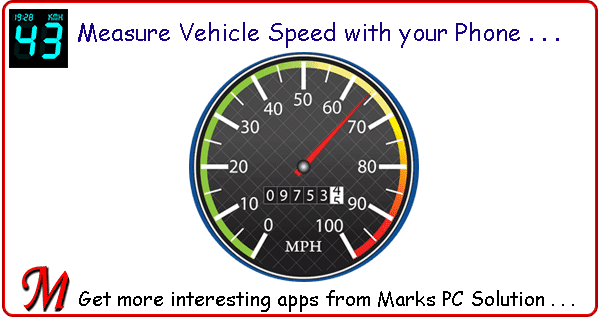 Measure Vehicle Speed with your Phone!! While travelling from one place to another, you can measure your vehicle speed through smart phone. Not just in travelling, you can also measure your speed while cycling, running and flying! With DigiHUD Speedometer you can measure how fast you're moving from one location to another . . .
100 % Free - No Ads!! With DigiHUD installed on your phone, you can be a smart traveller. In fact, you can make your fellow traveller surprised at you! DigiHUD works with both Android and iOS systems. It requires Android 2.2 or above. And your phone should have a stronger GPS sensor to get the better result. 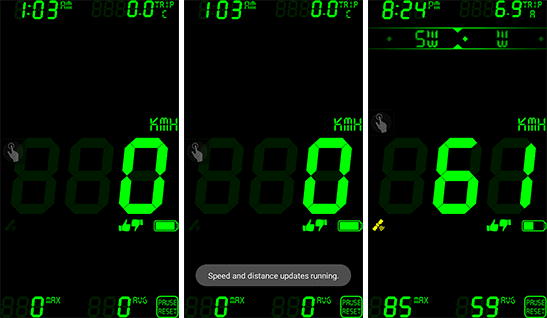 Download DigiHUD Speedometer from Link 1 or Link 2. If you're downloading this through phone, then this APK file is directly usable. If you're downloading through PC, simply copy the APK file to your phone. Install, Run & Have Fun . . . 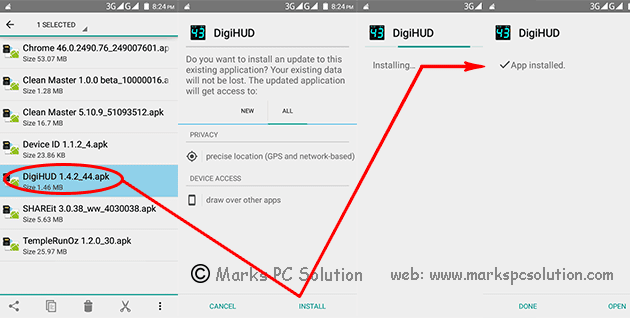 Locate DigiHUD Speedometer APK file from your phone storage. Short press on that file and it will ask to install. Hit on the Install option and wait few seconds. Finally you will see App Installed message. Hit on the Done button to exit from this window. Or you can directly press the Open button to run the application. 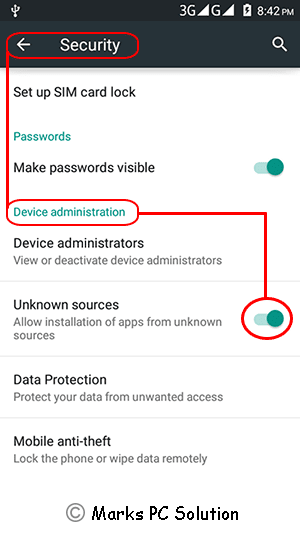 By default, your phone may prevent you from installing application from unknown sources. Suppose, you're downloading this app from Marks PC Solution, not from Google Play or App Store. In this case, your phone may show you warning message. How Much Accurate the App is? Mostly depends on your Phone's GPS Sensor. Because this app is absolutely based on GPS technology. If your phone's GPS sensor is strong, then it will show you the more accurate result. If your GPS sensor is weak, then this app will take bit more time to adjust the actual speed with the displayed speed. I've personally tested this app. It takes 3/4 seconds to show the original speed of your car or any other vehicle. I will not go for any argument about the usefulness of this application. 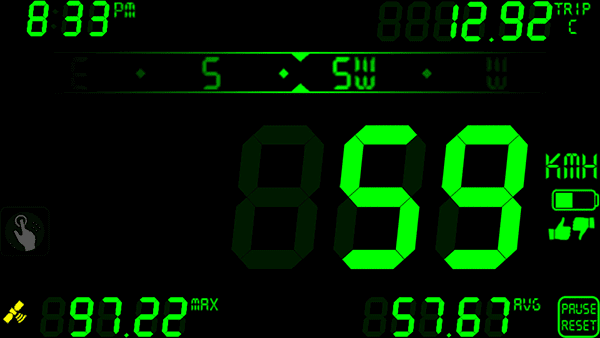 But certainly this will enhance your travelling experience by showing speed information. And if you practise running or cycling, it will help you measure your speed. Don't forget to share your opinion or any trouble regarding this application . . .
Are you preparing a formal report? Or do you need any cover page sample for any other task? By default, MS Word contains some outstanding cover pages. Each of them will give you different flavor. Today I'm gonna talk about using the default cover pages of MS Word . . . In every new version, Microsoft Office changes their default templates. Same thing happens to Word cover pages. I mean, the default cover pages are not same in every version of MS Word. 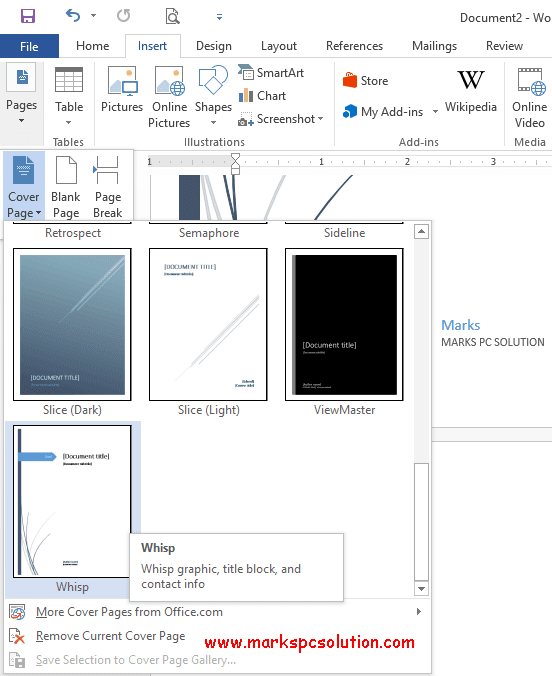 Cover pages included in Word 2016 may not be found in the previous versions of Office. Word 2016 has 16 cover pages. But you can discover more from Office.com . . . Create a new document or open an existing one. Hit on the Pages > Cover Page > Click on the cover which you like. That's it. When you add a page number in your document, your cover page will be counted as page number 0. So, you've to insert page number at the next page to your cover page. If you add a new cover page, it will replace the first one. If you need to delete the cover page, Insert Tab > Pages > Cover Page > Remove Current Cover Page (Follow the above image). To delete a cover page which was created by the earlier version of word, you must remove it manually. Hopefully this post will be of great help if you need to prepare documents frequently. Of if you are engaged with professional writing, these cover pages will reduce your time required to design your report cover. 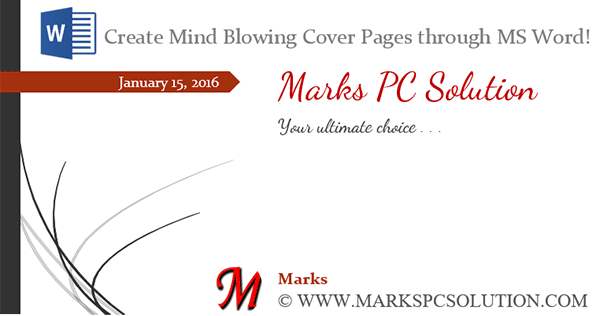 If you need to know more about adding cover page, then follow this link . . .
We're familiar with ribbon interface from Microsoft Office 2007. And now the latest version is Office 2016. In ribbon interface, everything you need is just a click away. Here, you don't need to search for an option through drop down menu. 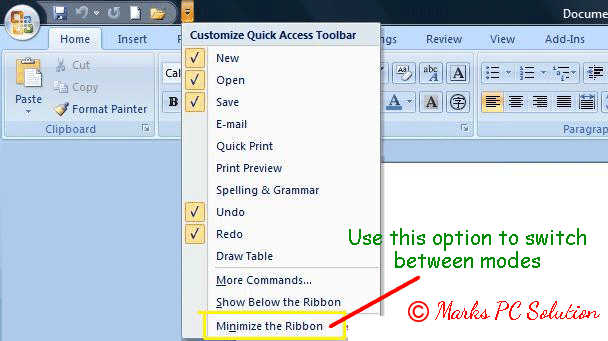 The main problem of the ribbon is, it reduces your typing/ working space. That's why your system may hide the ribbon automatically. But if you're not tensed with the working space, then you should keep the ribbon turned on. Definitely it will make your tasks more convenient. 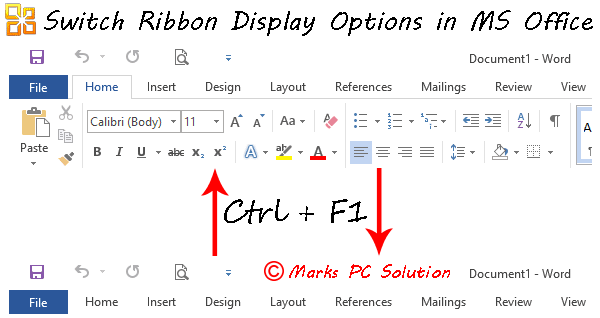 Simply press Ctrl + F1 to switch between ribbon views. When the ribbon is turned on, press Ctrl+F1 to hide this. Using the same keyboard shortcut will turn it on again! Auto-hide Ribbon: It will keep the ribbon and tabs hidden automatically. To view the commands, you need to click at the top of the screen. Show Tabs: It will only display the tabs. When you click on any of them, you will able to see the commands. Show Tabs & Commands: This is what I prefer most of the cases. Choosing this option will show the ribbon tabs and commands. Hitting on this button will prevent the system from hiding the commands automatically. Or you can use Ctrl+F1 to switch between modes. As I'm using Word 2016, providing screenshots for earlier versions is bit tough. And ribbon option is little bit different in Word 2010 and 2007. Clicking on the down arrow (Cutomize Quick Access Toolbar) will allow you access these options. As the ribbon is now displayed, you can see Minimize the Ribbon option. When the ribbon commands are hidden, you will see the opposite option. And in Office 2010, a small up arrow will be shown just above the ribbon commands. Clicking on that button will hide your ribbon commands. 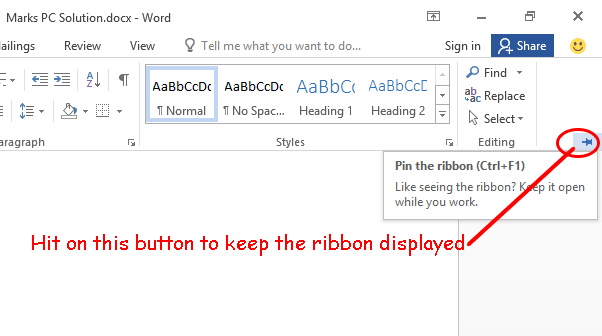 Hope this trick will help a lot if you're in trouble with the ribbon display options. If you still need to be clarified, please knock me . . .
Blogger Introduced Featured Post Gadget!! Well, I was expecting this from Blogger for a long time. And never thought that Blogger has already introduced this gadget in last month. 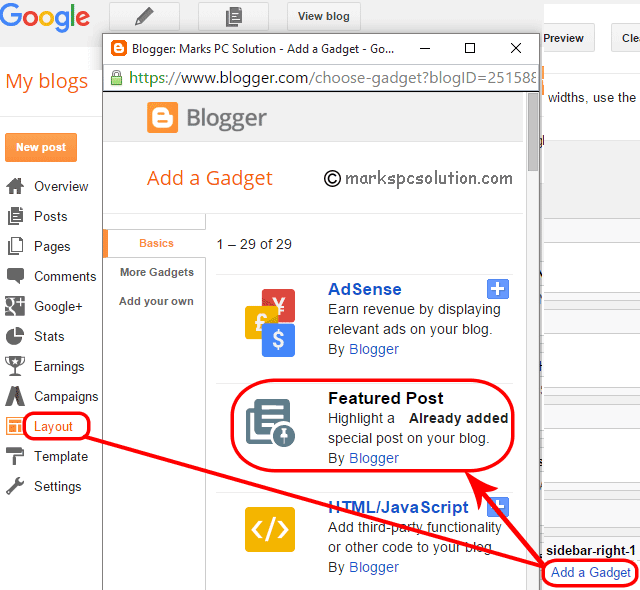 Just yesterday, I was about to fix someone's blog and discovered Featured Post gadget in the blogger's layout! And to be honest, I was more than happy . . .
Maybe most of you are familiar with the featured post. 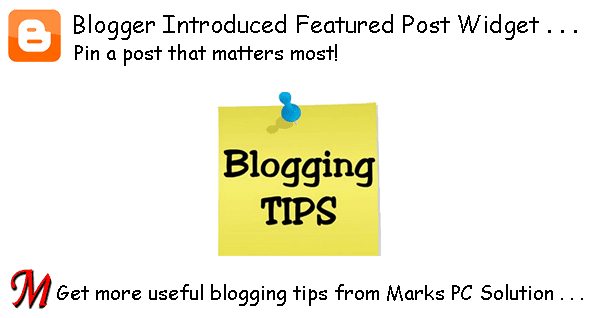 Though Blogger had no such option earlier, webmasters were able to display a featured post with the help of third party templates. You know, a blog always shows the latest post you've published. As you publish the new posts, the older ones are out of focus. But sometimes you may need the older posts to be displayed on special occasions. 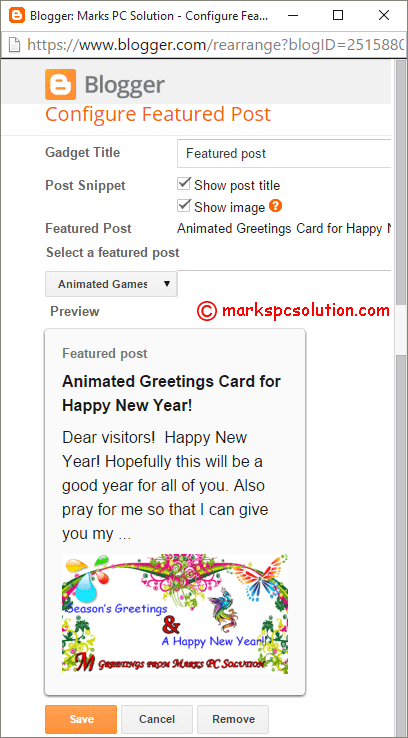 Happy New Year Card - At the beginning of the new year. Are you in Love - for valentine's day etc. Besides I've many other posts which I may show as featured one any time. And you can also use this great feature if you need. Go to your Blogger dashboard/ control panel. Choose Layout tab from the left pane. Then you will get the Configure window as shown in the image below. Go to the Select a Featured Post > Search your preferred post by labels or title > Choose your post > Check the Preview > Hit on the Save button. Hopefully, this is gonna be a great tool for bloggers. If you need any further help, please knock me . . .